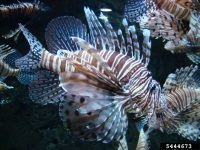 Nonnative Indo-Pacific lionfish (Pterois volitans and P. miles) are established in Florida’s marine waters where they are negatively impacting native fish populations, altering reef habitats, and competing with economically important species. 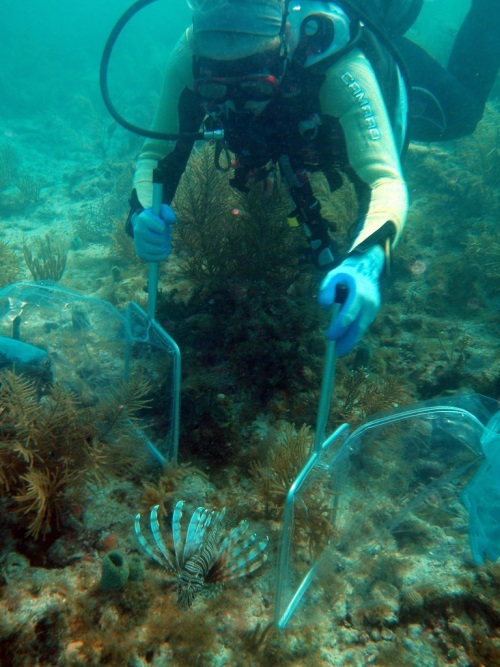 Control of lionfish populations is a high priority for the Florida Fish and Wildlife Conservation Commission (FWC), and recent regulatory changes facilitate public participation in lionfish removal. However, public unawareness, misperceptions, and safety concerns remain. 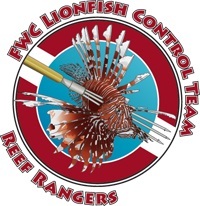 FWC is launching a statewide outreach campaign in 2015 with the goals of raising awareness and influencing behaviors toward lionfish. Harvey, R.G. and F.J. Mazzotti. 2016. 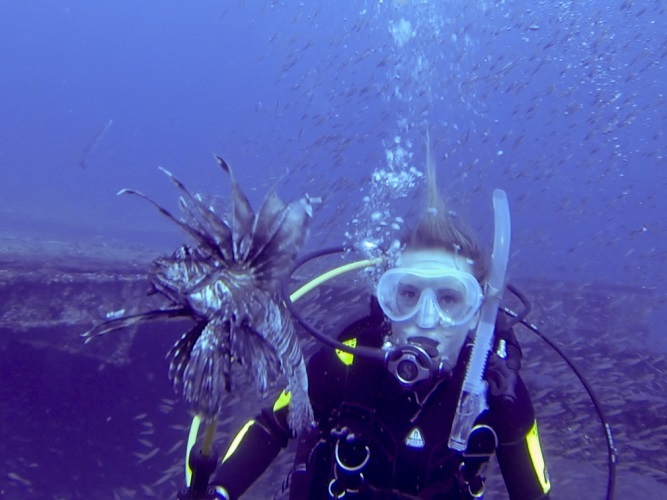 Public Knowledge, Attitudes, and Behaviors toward Invasive Lionfish: Pre- and Post-Campaign Surveys (PDF). Final Report to the Florida Fish and Wildlife Conservation Commission. March 2016. 42 pages. Harvey, R.G. and F.J. Mazzotti. 2015. Public Awareness and Attitudes toward Invasive Lionfish: Preliminary Results from Baseline Survey (PDF). 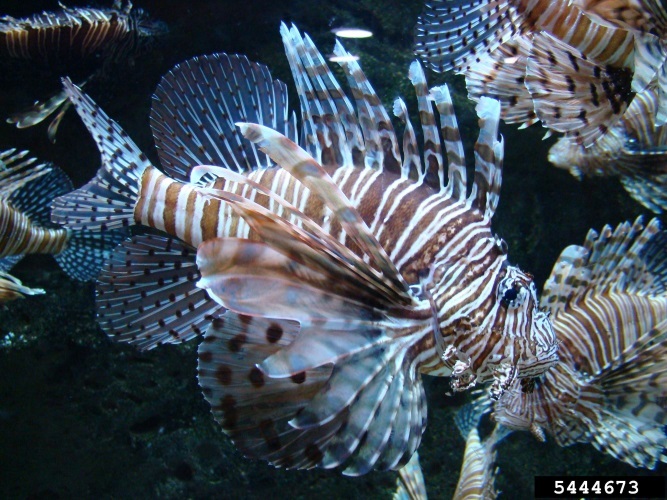 Interim Report to the Florida Fish and Wildlife Conservation Commission. March 2015. 38 pages.